BOISE, Idaho, and SANTA CLARA, Calif., Jan. 8, 2018 – Micron* and Intel today announced an update to their successful NAND memory joint development partnership that has helped the companies develop and deliver industry-leading NAND technologies to market. The announcement involves the companies’ mutual agreement to work independently on future generations of 3D NAND. The companies have agreed to complete development of their third-generation of 3D NAND technology, which will be delivered toward the end of this year and extending into early 2019. Beyond that technology node, both companies will develop 3D NAND independently in order to better optimize the technology and products for their individual business needs. 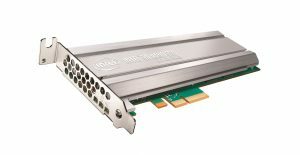 Both companies will also continue to jointly develop and manufacture 3D XPoint™ at the Intel-Micron Flash Technologies (IMFT) joint venture fab in Lehi, Utah, which is now entirely focused on 3D XPoint memory production. We are an industry leader in innovative memory and storage solutions. Through our global brands – Micron®, Crucial®, and Ballistix® – our broad portfolio of high-performance memory and storage technologies, including DRAM, NAND, NOR Flash, and 3D XPoint™ memory, is transforming how the world uses information to enrich life. Backed by nearly 40 years of technology leadership, our memory and storage solutions enable disruptive trends, including artificial intelligence, machine learning, and autonomous vehicles in key market segments like cloud, data center, networking, and mobile. Our common stock is traded on the NASDAQ under the MU symbol. To learn more about Micron Technology, Inc., visit micron.com. ©2018 Micron Technology, Inc. All rights reserved. Information, products, and/or specifications are subject to change without notice. Micron, the Micron logo, Crucial, the Crucial logo, and The Memory and Storage Experts are trademarks of Micron Technology, Inc. Intel and the Intel logo are trademarks of Intel Corporation in the United States and other countries. All other trademarks are the property of their respective owners.